Whether you own a fancy sports car or a family-friendly minivan, it will need transmission service and maintenance. Without a healthy transmission, you won’t have a healthy and efficient vehicle. So it goes without saying that taking care of this part of your vehicle is important for its longevity, and without the proper care, you may experience accidents or automotive problems on the roads of Baldwin Park, Walnut, La Puente, or all over California. Below are a few steps you can do take to provide the best care for your transmission and your vehicle. The fluid in the system enables the transmission to shift gears without causing damage. Serving as a lifeline for your transmission, it’s important to check this fluid and exchange it regularly. Without regular exchanges, you can face serious damage. The longer the fluid stays in the system, the more the additives in the fluid will wear down, giving you poor lubrication and allowing damaging debris in the transmission. Clean, fresh fluid will keep you a step ahead of all of these problems and even save you from paying an enormous amount in repair bills. As stated before, the fluid acts as a lifeline for your transmission, so it goes without saying that the fluid should never reach a low level. If you notice a small puddle of reddish fluid underneath your parked car, be sure to take it to the Norm Reeves Honda Superstore in West Covina immediately because your transmission fluid is leaking. With a properly running transmission, it’s certain that your vehicle will run more smoothly. A way to keep your transmission running properly is to know the common signs of transmission failure, such as leaks and a low fluid level. This gives you something to look for when you’re driving. If you notice something sounds odd or is running differently than normal, be sure to take your vehicle to a service center for repairs today. Usually the common signs of transmission problems are early warnings of failure, so catching and repairing them early prevents any severe damage. While it’s possible to service on your own vehicle, you should do it only applies if you really know what’s going on underneath the hood. If you don’t, then take your vehicle to the Norm Reeves Honda Superstore in West Covina. The technicians there are trained to not only service your transmission but to find certain indicators that may signal other automotive problems. A healthy transmission translates to a healthy car. So with such a crucial automotive part, it’s clear that it needs the best possible care. If you follow the tips above, your car surely will run at its peak performance. 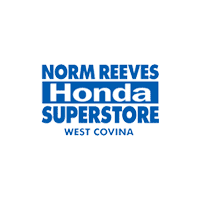 If you believe your vehicle is having transmission problems and you live in the Baldwin Park, Walnut, and La Puente area, be sure to stop by the Norm Reeves Honda Superstore in West Covina to schedule your appointment today.